* Gothic Age * 1200 - 1400 A.D.
By the 12th century, as a result of contact with the east through the crusades, men's shoe fashion became more pointed and was worn with a tight hose made of silk, velvet or soft leather. 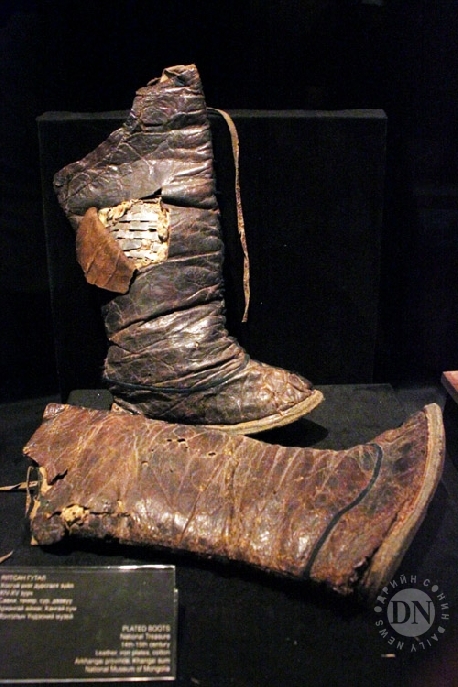 These shoes were called "crackows" or "poulaines" as at first it was thought the style originated in Krakow, Poland. They sometimes featured toes as long as 25 inches, whereby the longest ones were upheld by chains running up to the knee and fastened there with a knee strap. 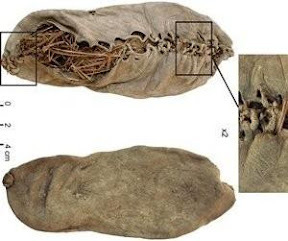 The poulaines were shaped by whale bone and stuffed with hemp or moss. Decorating was done by incisions, scraping or engraving. The length of the point referred to the importance of the bearer acoording to a system invented by a Mr. Poulain: half a foot length for ordinary people, one and a half for knights and two or more foot lengths for high nobility.